Dog travel. 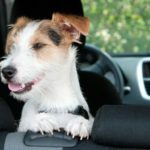 Keep your dog safe whether you’re driving, flying or moving cross country. 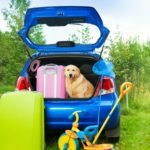 Driving: Once you’ve mapped out the route for your dog-friendly trip, you need to make sure your dog is ready for the car ride. Nothing would spoil the fun more than a nervous traveler. 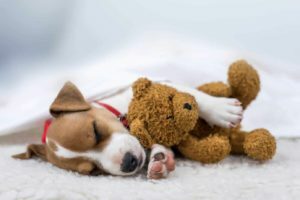 Overcome motion sickness: Nervous, hyperactive dogs are more likely to suffer from motion sickness as are puppies whose inner ears have not yet fully developed. 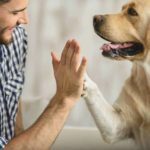 Fly safely: Dog plane safety tips include taking a direct flight, making sure your dog has fresh water and using an approved crate that allows good air circulation. 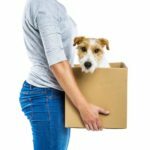 Move with your dog: Plan, use some expert advice and moving to a new city can be as easy as a quick stroll around the dog park. Move with dog. Plan ahead, use some expert advice and moving to a new city can be as easy as a quick stroll around the dog park. 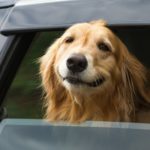 Pick perfect dog-friendly road trip destinations. 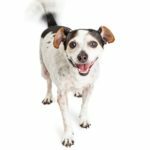 Consider size or breed restrictions, size of off-leash areas and marked potty areas. 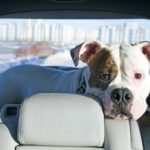 Dog car ride fears: Take time to let your dog get used to being in the car and make sure they think riding in the car is a positive experience. 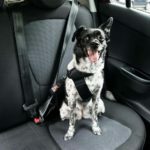 Daily car rides: Keep your dog restrained to prevent injury. Unrestrained dogs can run away after crashes or interfere with emergency crews. 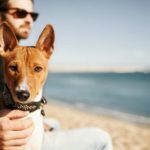 Most dog people would like nothing more than to share the adventures and memories of a road trip with their pet on a dog driving vacation. 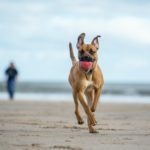 Big city activities for your dog: Beaches, parks and trails all offer fun options for your dog.